In a fairly unforeseen turn, Microsoft declared at the Build meeting that iTunes will go to the Windows Store. This is entirely enormous news, as iTunes has so far been an independent download that you would need to get from Apple's site. Having it on the store would make it a great deal simpler for the vast majority to download it on their PC. 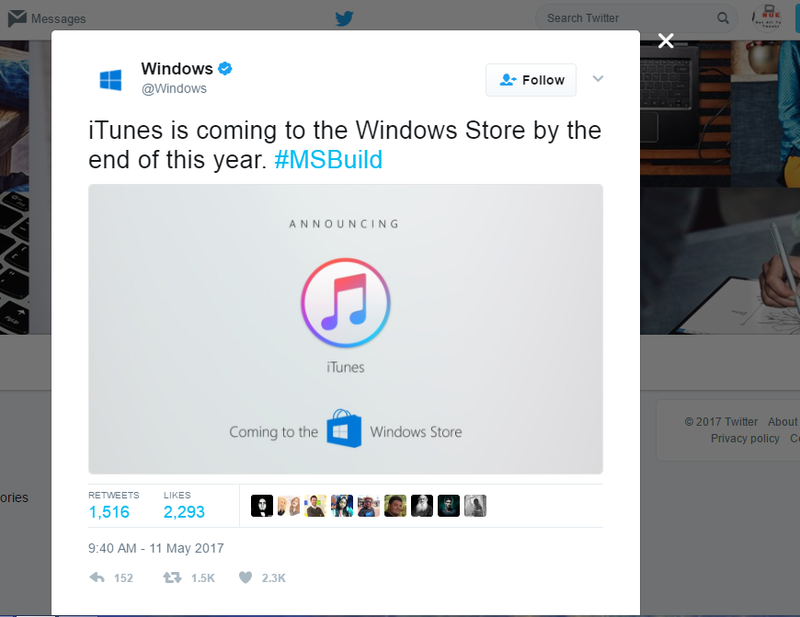 It additionally implies that those running Windows 10 S will have the capacity to utilize iTunes in future, as 10 S has no support for non-Store applications. It stays to be witnessed what will to the current independent form of iTunes, and if other major applications like Chrome will go to the Windows Store.